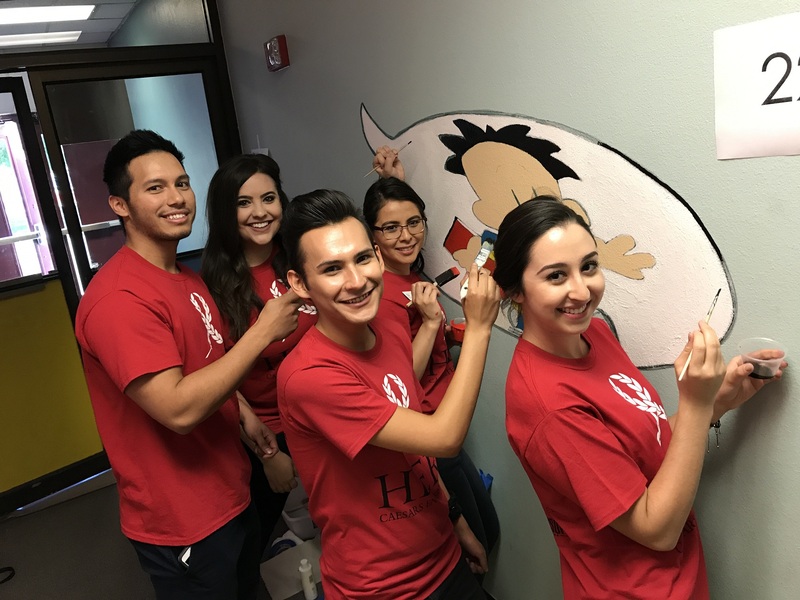 As part of their community HEROES program, over 70 Caesars Entertainment employees volunteered at Long Elementary School for United Way's 2nd Annual Day of Caring. Murals from the students' favorite books were painted or freshened up in true team spirit and the school's garden was tended to, clearing the way for new fall plantings. For me, the highlights were all the high-fives the students eagerly gave to volunteers at they walked the hallways in excitement. Long ES, its teachers and staff do an amazing job serving their neighborhood students and families. This neighborhood has 29% of its population living in poverty, so attending a school with vibrant wall art and an outdoor garden is certainly an oasis. Thank you Long ES and Caesars Entertainment HEROES for your inspiring service!